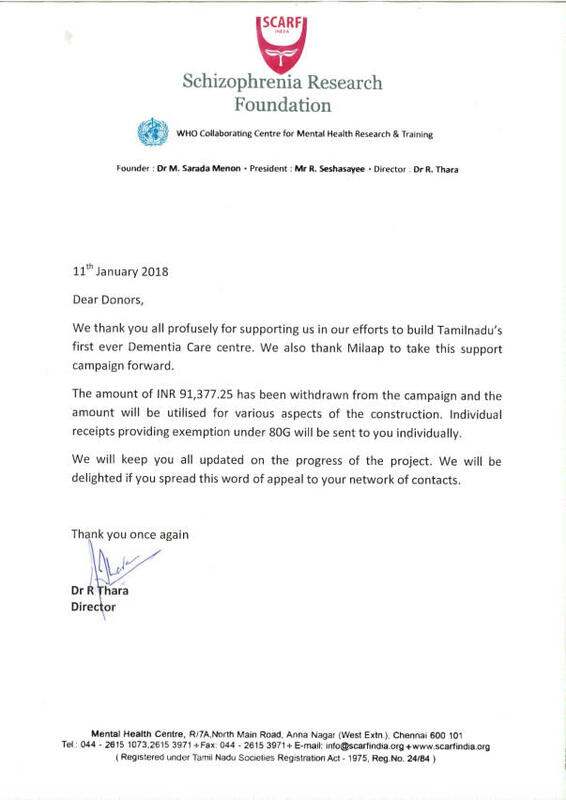 We are profoundly thankful to all the donors who have been supporting us in the construction of Tamilnadu's First ever Dementia Care facility at Chennai. We are in the initial process of the construction. we once again thank all our donors. kindly share your contacts about this cause. We are happy to share that the land has been registered for construction of Tami Nadu's first ever Dementia Care facility (DEMSCARF) at Tambaram, Chennai. The initial processing for the construction has been stared. Donors will be updated with the progress of the project now and then. We also like all of you to spread this word to all your network.